The Sedona International Film Festival is proud to present a special afternoon screening of an episode of Animal Planet’s new series “Dodo Heroes” devoted entirely to the rescue work of Animal Defenders International (ADI). The event will feature special guests, ADI founders Jan Creamer and Tim Phillips, and takes place on Sunday, July 8 at 1 p.m. at the Mary D. Fisher Theatre. The “Dodo Heroes" series features inspiring stories of animals in need from around the world, and the compassionate humans who go to unimaginable lengths to give them hope. With each episode focusing on one inspiring and moving story of people who go to any lengths to help animals, the series will explore the personalities and emotions of both humans and animals, while highlighting their unique connection. Jan Creamer and Tim Phillips selected Sedona as a location to present this episode because of the success of their recent film “Lion Ark” at the Sedona International Film Festival a few years ago. They will be in Sedona for this special screening of “Dodo Heroes” to introduce the episode and conduct a Q&A after the screening. The Sedona screening of “Dodo Heroes” will highlight an epic rescue undertaken by ADI in South America, featuring the transformation of lonely spider monkey Pepe and the battle to save and reunite a lion family torn apart by a circus. 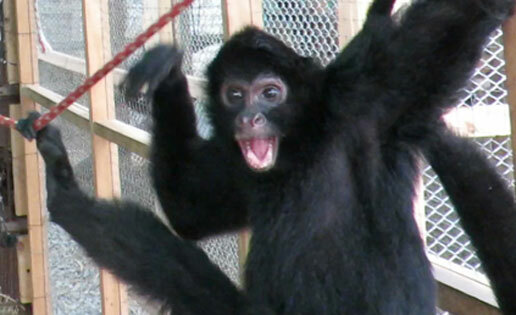 Follow the joyous and uplifting story of the rescue of spider monkey Pepe: how he was reunited with his own kind and taken home to the forest. 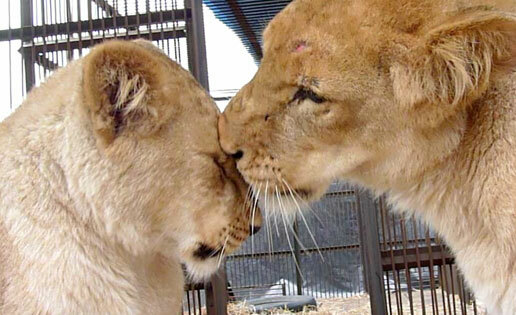 Plus, the parallel story of lioness Kiara rescued and reunited with her cubs after the family was torn apart by the circus and the family’s journey home to Africa. After Peru bans wild animals in circuses, many circuses defy the law and ADI is invited to help the authorities enforce the law and save the animals. Operation Spirit of Freedom is born and a team headed up by ADI Vice President Tim Phillips and ADI President Jan Creamer get to work. Using previously unseen footage shot as the mission unfolded, the episode will take people to the heart of the biggest circus rescue ever undertaken. 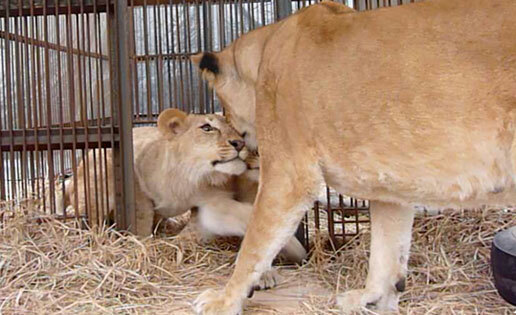 Circuses are tracked down and dramatically raided, and over 100 animals saved — lions, bears, a tiger, monkeys, and more. We also see the painstaking efforts to piece the lives of these animals back together. ADI is the only organization in the world undertaking these difficult and dangerous, large-scale rescues helping governments to enforce bans on the use of animals around the world. To date ADI has emptied Bolivia and Peru of ALL circus animals and is currently in Guatemala helping to enforce the circus ban there. Temporary facilities have to be built in the different countries to receive the animals and it can take months to track down and raid circuses, followed by the huge logistical challenges of relocating dozens of different species (ADI airlifted 33 rescued lions home to Africa from Peru). ADI continues to fund the care of the animals seen rescued in the “Dodo Heroes” episode, and any donations received as a result of it will support those animals and the animals currently being saved in Guatemala. Join us for this powerful and informative afternoon of rescuing monkeys and lions. The “Dodo Heroes” themselves — Jan Creamer and Tim Phillips — will be appearing at this special event. In addition to an extensive Q&A, they will report on the latest rescues undertaken by Animal Defenders International.